This includes children of registered adult ages 10 and up. Spikeball Workshop: Participants will learn ball skills, offensive and defensive strategies and how to assess student’s skills. Spikeball supports the Arizona State Standards and is a great new game catching on all over the country! 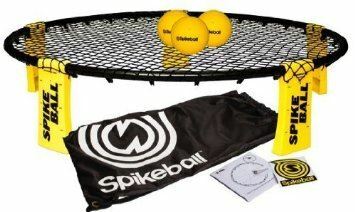 Participants will be able to purchase Spikeball sets for a discounted rate of $45.00. Come ready to be active with tennis shoes and sportswear. CEU’s will be available for teachers.